Arrrrgh ya ready to be the finest lass in all the seven seas? Ye may think ya are, but we think you’re just missing one thing. 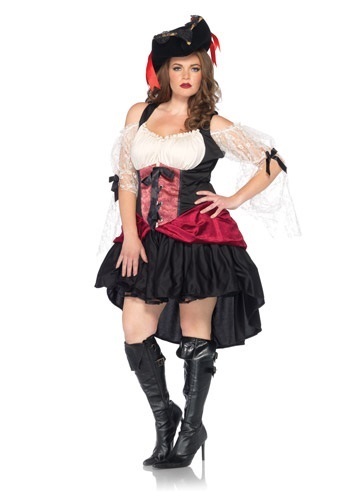 This Women’s Plus Size Wicked Wench Costume is just what you need to start your endless reign over the sea! If you want to sail off into the horizon on a grand adventure this Halloween this is the costume for you. Once you toss on this sassy, yet elegant, dress you’ll have scurvy seadogs on their hands and knees begging to join your crew. From the top of the neckline to the bottom of the hemline of the skirt, this dress just screams out Pirate Queen. Look through our pirate accessories and pick out the cutest captain’s hat you can find along with a pair of high heel boots that say you mean business. Then you just need to arm yourself with a trusty sword and a pistol to get you out a tight situation in a pinch. If you want to live the life of a pirate then you’ve got to expect trouble around every corner and beyond every wave. But with this amazing dress and the right accessories, we know that you will prove to be victorious when faced with any challenge. 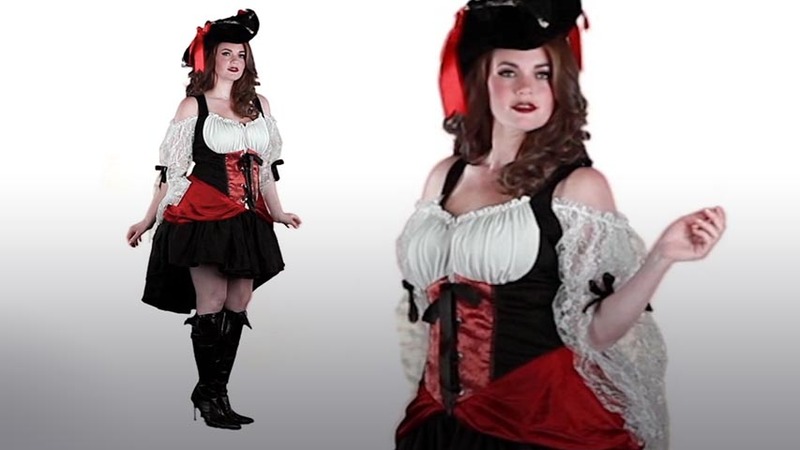 If you’re ready to live life on the edge this Halloween then get your hands on this Women’s Plus Size Wicked Wench Costume. You’ll be a whole new face of fear. Only the unwisest of pirates will cross sails with you!